Since its foundation in 1948, DMG MORI CO., LTD. (hereinafter called DMG MORI) hascontinuously provided innovative machine tools for customers all over the world. We deeply appreciate our customers’ long-term patronage and support. We reached a capital andbusiness partnership agreement with a German machine tool builder DMG MORI AG in 2009 and completed management integration with them in 2016. We, a total of some 12,000 employees with diverse backgrounds, are all heading to the same direction with the aim of being the No. 1 machine tool manufacturer for customers and total solution provider. DMG MORI appreciates all of the people in the manufacturing industry and continuously exerts full efforts for further business growth as a group of reliable professionals. 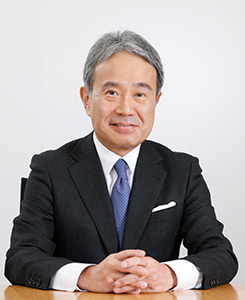 Masahiko Mori / President Dr. Eng.